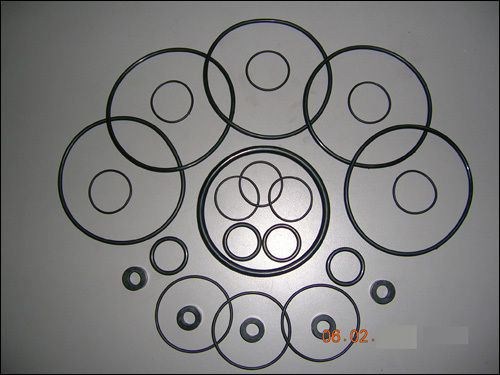 Rubber Gaskets O ring Seals for Fuel tank, Oil pump & Engine sealing. Gaskets and O Rings are used for sealing purposes in all automotive applications. Gaskets comes in various shapes and sizes varying from thickness of 2 mm to 100mm. Gaskets and O Rings are mostly made from high quality Nitrile Rubber (NBR) and are used where there is oil or fuel in touch with gasket. The quality is excellent with perfect finish of the product to ensure good sealing. They are used for fuel tanks, oil tanks, engine head chamber etc and can be made using other speciality rubbers like EPDM, Viton, Silicon, Neoprene, Foam etc.